Malachi means ‘my messenger’ or ‘the Lord’s messenger’. It may well have been the name of the prophet who wrote these words, but it might be someone who wished to remain anonymous, and he simply calls himself ‘The Lord’s messenger’. And Malachi speaks particularly clearly of one who will come as the Lord’s messenger, who will prepare the way for the coming of the Lord himself. God says through Malachi (my messenger) ‘See, I am sending my messenger to prepare the way’ (3.1). They have forgotten that they have been called to be God’s holy, chosen people. They have become self-indulgent. When a person is baptised, whether as an infant or an adult, it is as if God gives to them a ring. It is a ring which tells me that God loves me and that I belong to Jesus. 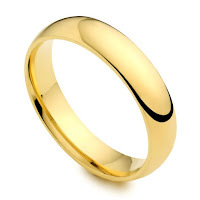 While I wear the ring, the church sees me as a fellow brother and sister. While I know what the ring means, I will cherish it. When I’ve messed up badly and wonder if God loves me or whether I truly belong to Jesus, I will look at my ring and I will be reminded of the love of God and that I belong to Jesus. But when I forget what the ring means, or when I choose to deliberately walk away from the one who gave it to me, there will come a time when I will take the ring off my finger and throw it away. And in throwing it away I will be throwing away the most precious thing that God could possibly give us in this world. Jesus, in this story, appears to commend someone who acts dishonestly. But in fact he doesn't commend the manager for his dishonesty - he commends him for his shrewdness and wisdom. 1. Here was a person who looked to the future. He was about to be jobless, homeless and penniless. He would be completely dependent on others. So he uses his master's money to make friends for himself. As St Augustine wrote, 'He perpetrates a fraud to secure his future'. Jesus says, 'If only the Sons and Daughters of Righteousness were like that - not being dishonest, but thinking ahead, in planning for the future. Not just for the here and now.